Nothing makes teenage hearts break faster than finding out their favorite boy in a band is taken. Those are the words no fangirl ever wants to hear, because it shatters every notion and fantasy you had come up about your future together. 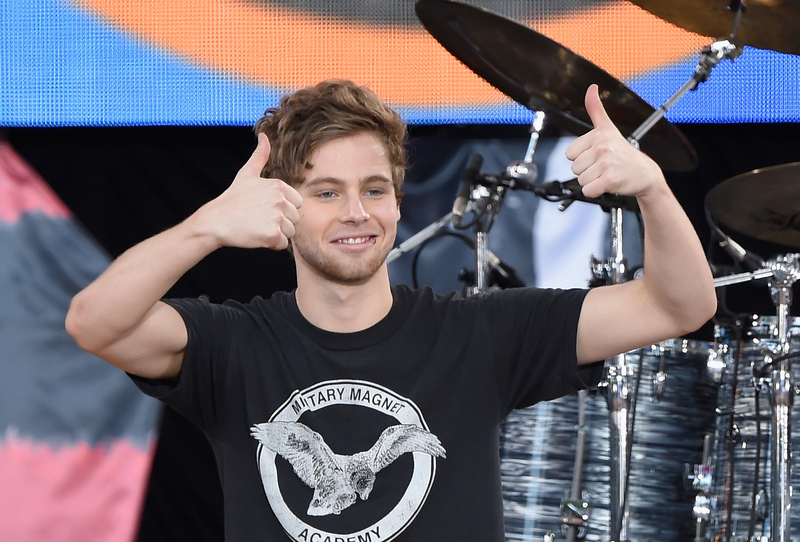 So, naturally, the 5 Seconds of Summer fandom was in an uproar when Aussie band member Luke Hemmings was snapped holding hands with a female human being in Los Angeles. A 19-year-old dude out at a club with a hot girl? You don't say. Anyway, as soon as snaps of the two hit the Internet, fans were scrambling to figure out who Luke Hemmings' rumored girlfriend Arzaylea is and what exactly she does. First, it's important to note that her name is not Azalea, like another fellow Aussie. Her name is Arzaylea and what I have gathered so far about her is that she is really cute, about 20 years old, and seems to have only been seeing Hemmings for a short time. She also has many social media accounts that she maintains, so it is relatively easy to get some information on her and her past. She is fairly active on her Twitter account and already has over 74 thousand followers, which I assume primarily a bunch of overeager 5SOS fans. So, what does a girl dating (or, rumored to be dating) a boy band member do? Well, doesn't seem like too much beyond looking cute and being an L.A. cool kid. On her Twitter, she lists links to her Instagram, e-mail, Tumblr and YouTube account. She also first lists @tunesheadphones, so I decided to look more into that. Apparently, word on the Internet is that her father owns Tunes Headphones and that her dad has been a part of the music industry since she was a young girl, which is why she knows so many musicians. You can't blame people for being curious. She confessed she was a personal assistant in L.A. and it seems that she travels often between her hometown of Austin, Texas and Los Angeles, where she was spotted hanging out with Hemmings. I mean, well, OK. If she has the means of surviving without working, I guess more power to her? The girl has pretty sick makeup skills, so I wouldn't be surprised if she's tried her hand at being a makeup artist, but as of right now, it seems like she's just being young, wild, and free.